Are you worried about visitors leaving your product pages? Looking for ways to engage them and keep on a site for longer? 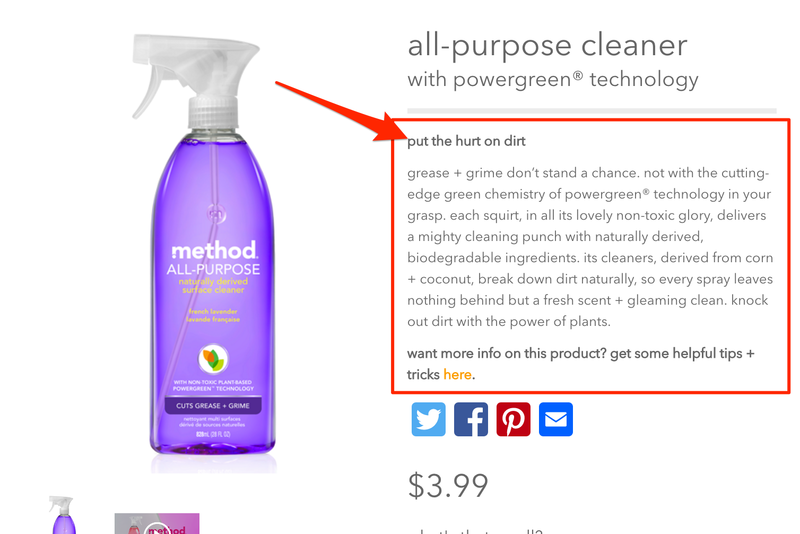 The longer someone stays on a product page, the greater the chance they’ll buy the product. But with so many distractions around, from a phone, email or social media notifications to other websites screaming for attention, buyers often lose focus and bounce off. And so, to ensure they stay long enough to see what you have to offer, you may need to use various hacks to retain their attention. Lucky for you, in this post, I’ll show you 5 practical ways to optimize your product pages and keep them for longer. The video has become one of the most engaging content types in eCommerce. And there’s plenty of evidence to prove it. Adding video to a page can increase conversions by up to 80%. Shoppers who view video are 174% more likely to purchase a product than non-video viewers. And 52% of them say that watching a video makes them more confident in the purchase. But what’s more, visitors tend to watch online videos. Mist Media reports that the average internet user spends 88% more time on a site with video (via Insivia). And so, it goes without saying, adding a video should keep visitors for longer. Cotsworld Outdoor includes video in the product’s photo gallery. Bellroy, on the other hand, shows the video as the very first product visual a visitor sees. And Tassimo encourages their users to create videos showing them using the company’s products. The company then includes these videos at the bottom of product pages. Grab someone’s attention with an engaging story and they’ll just keep on listening. The same rule applies to product pages. If you feature only a technical information about a product, you’re likely to see many users skipping it altogether. But write a description like this one from Method Home and you’re bound to keep prospects glued to the page. Notice that even the opening sentence alone, “put the hurt on dirt” immediately captivates a reader. And the following passages only reaffirm that engagement. Use language that speaks to the ideal buyer, no one else. Highlight the benefits of using the product. Give a sense of ownership, show how a person’s life will look like after buying a product. Use no jargon or BS language. You want a visitor to buy the product. And you know that to do this; you need to tell them everything about it. So, naturally, you include all this information on the product page, in hope that it’ll help convince a person to buy the item. Of course, the above is an extreme example. Nonetheless, it’s not that difficult to clutter the page with unnecessary elements, making it too long and complex for a visitor to find the information they need. So, take an honest look at your product page design and ask yourself if you need all elements that are on it. If so, are there any ways to merge or hide certain elements? 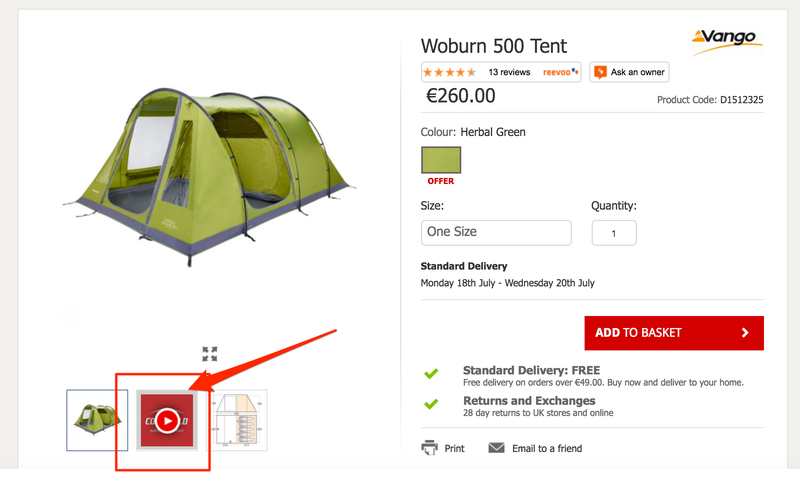 Greg Randall, an ecommerce marketing consultant at Comma Consulting, lists the best placements for over 30 most important product page elements in this post. Also, check out the Tucker Schreiber’s, a growth specialist at Shopify, post listing various examples of well-designed ecommerce product pages. PC World includes an enormous amount of information on their product pages, from product specific info to finance advice, terms and conditions, and a lot more. However, the company keeps their pages’ clutter free by using tabs and hiding portions of the copy. And in spite of including so much information, they also manage to add videos and other content. Reviews are the most common user-generated content online retailers place on product pages. And their effect on engagement and conversions is irrefutable. However, you could keep visitors longer on a page by enhancing reviews and adding different types of user-generated content. Instead of just letting customers write a review, let them post their images of the product in use. That’s exactly what Boom cosmetics do on their product pages. They give customers the option to submit their pictures. Aggregate user social photos from Instagram and other social networking sites to your website. Services like Pixlee allow you to curate customer photos and videos and publish them on your site or other platforms. The web’s gone visual. Customers these days seem to focus more on visual, rather than text-based content. And although product descriptions and other related information are still important, it’s the visuals that are the most likely to keep them on a page. So, at the minimum, expand a product’s image gallery. Add a variety of images showing product close-ups but also the item in use, 360-degree views, and use hover-zoom. Also, increase your image size. According to various case studies, featuring bigger product images attracts attention and correlates with conversions. Similarly, many stores discovered that using 360-degree product views increased conversion rates by up to 27%. Net-a-Porter uses a mix of various image styles to create an engaging photo gallery. Pawel Grabowski Pawel is Hubspot-certified content marketer and a popup marketing expert. Email Lists: What’s Recommended…and What’s Legal?